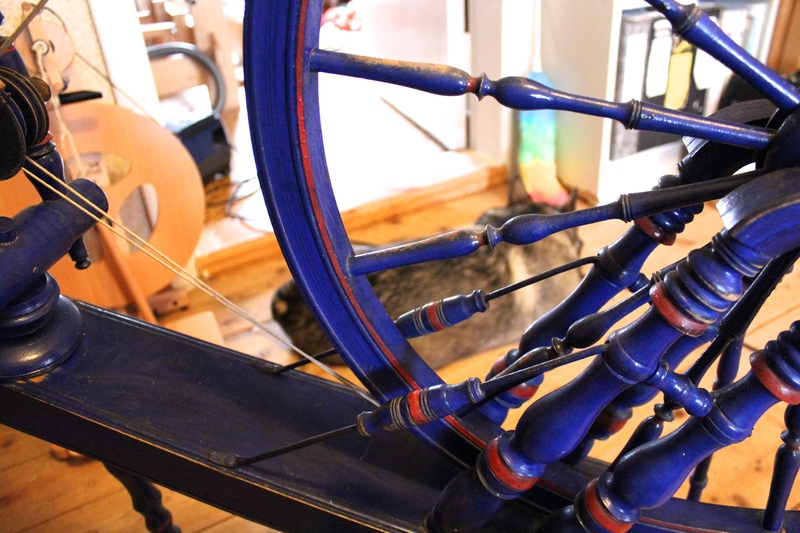 And then another kind person from that same museum called me and asked if I would like to take care of a spinning wheel, an heirloom that had belonged to a friend of her family. I said I’d have a look at it. And it was blue. And the wheel was straight, it had all the necessary parts, and I said, yes, I want to take care of it. I call it Elsa after the last owner. 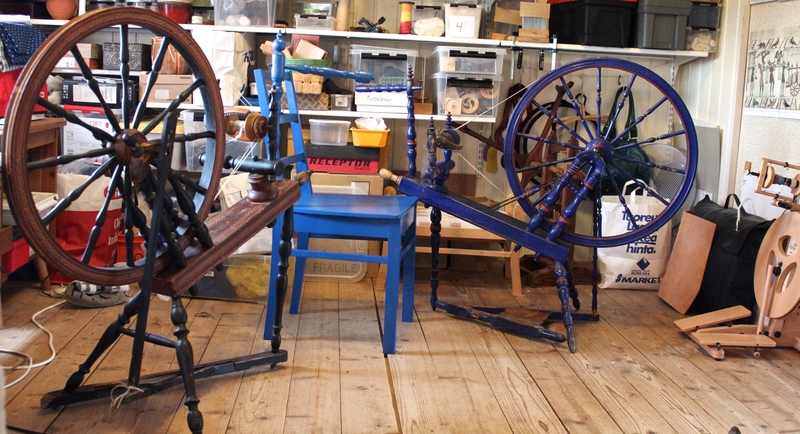 Here she is, with the blue chair, the blue arms, and my other Saxony wheel Eevi, and little Peerie Louet Victoria. I have spun a few meters on her. Eevi is a wonderful wheel, but I have a feeling Elsa might be even better. Let’s see after a few months, when she has got used to her new home and the conditions here. She was made in the municipality where my husband and I have livet the last 24 years. I don’t know who made her. 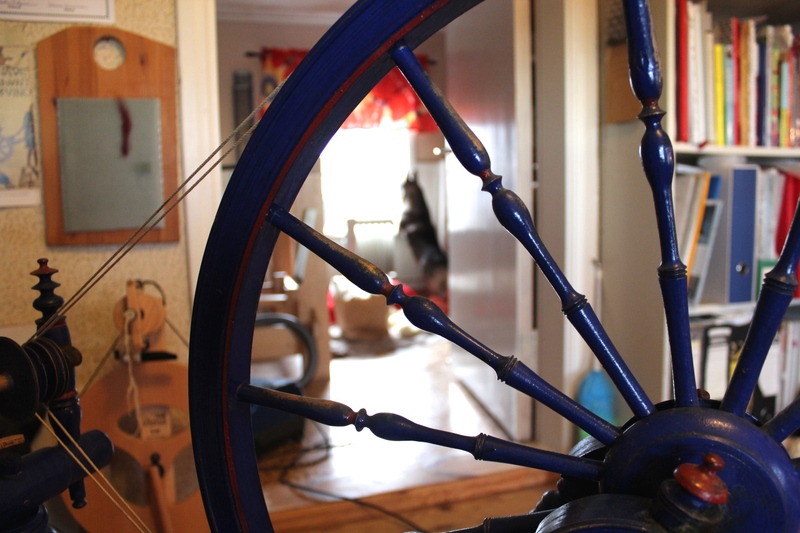 There used to be a wheel maker in almost every village, but what the wheels have in common is the blue colour with sparse red details. And, a relief for spinners with floors you don’t have to be afraid to damage: the legs have metal tips that keep Elsa stay where you’ve put her. No sliding across the floor here! 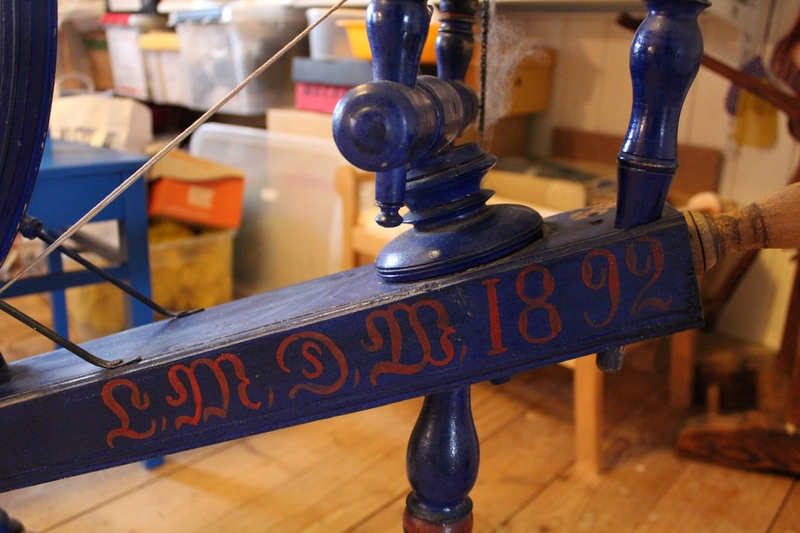 I will add red details to the distaff holder later. What a gorgeous BLUE!! Elsa will love it in your house…and you will become accustomed to her quite quickly. A mutual attraction going here 🙂 lucky you. How beautiful these wheels are!